Simple and Really Easy to Use Automation Software is presented here in this post. Apart from being cheap, the Automation Software offered here does not requires you to learn any programming language or anything complex. All the complex tasks are done by this Windows Automation Software and easy control is provided to you with easy to use Graphical User Interface. 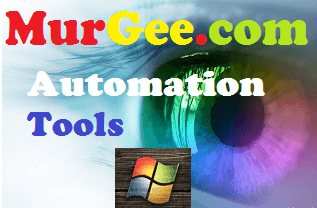 Whether you have to use Automation for testing of a software or a website or anything else, this unique Windows Automation Tool can do everything for you. Do have a look at the Screenshot below or just read on to learn all the features of this Windows Automation Software. The Auto Mouse Click Software presented above offers Mouse, Keyboard and other types of User input Automation. 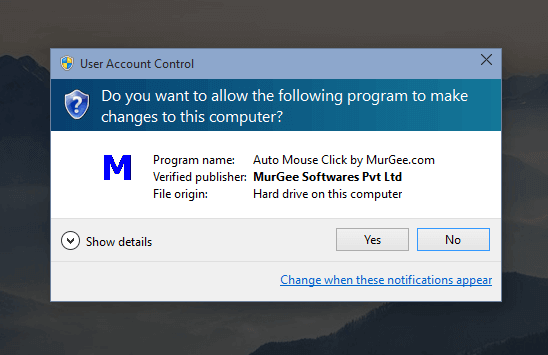 Effectively by Automating Mouse and Keyboard itself, you can automate and test any kind of software or website running on your Windows Computer. The Screenshots presented in this post have been captured on a Windows 10 Computer, however you can use this Windows Automation Software on almost any other latest version of Microsoft Windows including Windows 8.1, Windows 8, Windows 7, Windows Vista or even on Windows XP. Yes this unique and easy to use Automation Software runs on 32 bit and 64 bit versions of Windows. Lots of Gamers use this Windows Automation Tool for automating Repetitive actions in Games, however you can use the features of this Software for any other suitable purpose which require anything to be done multiple times. Yes you can even record a Macro and embed the macro in the Script or you can simply add Mouse Click(s), Keyboard Typing and other Actions from the list. Yes you can even call it as a Mouse and Keyboard Automation Software for Windows. This Software is so much easy to understand and use that Children of all Ages use it for Automating repetitive tasks in Games. This Professional Grade Application has been designed taking into consideration each and every aspect of Mouse and Keyboard Automation. Given below feature list explores few of the features offered by this Easy and User Friendly Windows Automation Application. 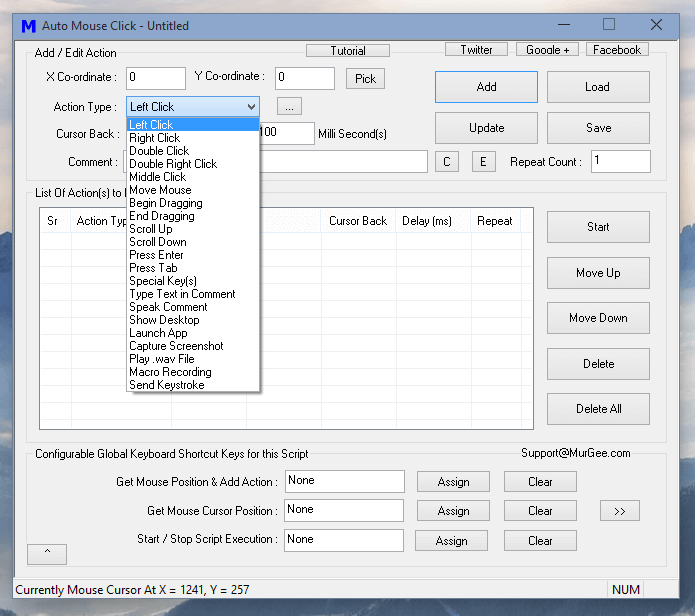 Allows you to Automate Left, Middle and Right Mouse Clicks. Supports Automation of Mouse Scroll Up and Down. Can be used to Automate Single and Double Mouse Clicks easily. Offers Fixed and Random Time Delays between consecutive Automation Actions. Any Action can be repeated without repeating the whole Script. Yes the whole Script can be repeated multiple times as well. Allows you to create a Desktop Shortcut to Execute the Script containing Mouse, Keyboard and other Windows Automation Tasks. Can be used to Send Keystrokes to any Application Window. Supports Automation of Text Typing onto Active Application Window with full support of special characters and special keys (e.g. Tab, Enter, F2, Ctrl +V, Ctrl + Shift + W, etc). Allows you to Send Enter, Tab and other Keyboard Keys to Active Application Window. Offers inbuilt Macro Recorder to Record and Playback Mouse and Keyboard Actions. Supports Adding Text to Voice commands within the script. 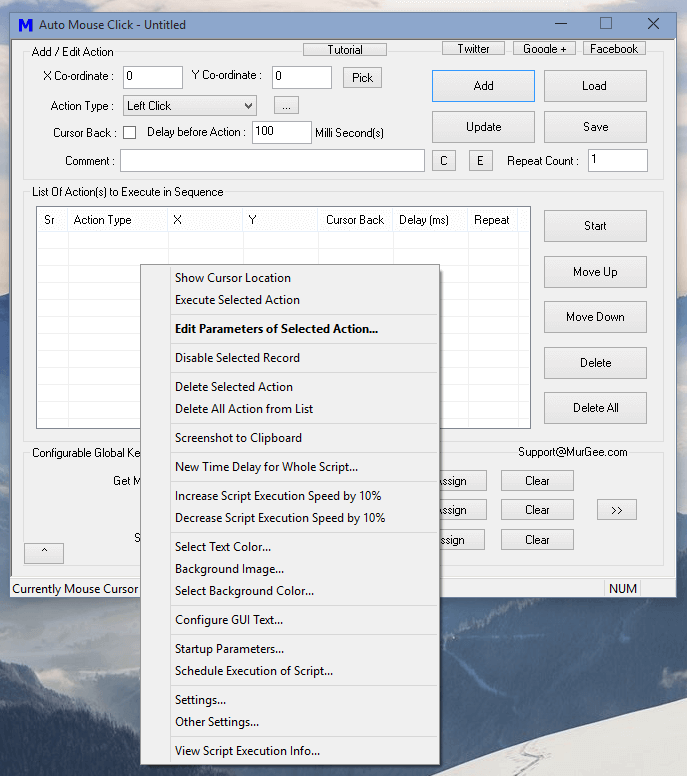 Has the functionality to capture and Store Screenshot as a Windows Automation Action. Offers Script Personalization with configurable Script Background Color, Text Color and configurable Watermark. Allows you to change Graphical User Interface Text of the Software with words of your own choice in your own language. Fully supported with Global Keyboard Shortcuts to assist you in creating the Automation Script and executing the script. Has an inbuilt Profile Manager for collection and management of Multiple Scripts as a single Data File. Learning this Windows Automation Software is effortless and fun. Yes there are Video Tutorials built right into the software itself accessible from the main screen of the software. This cost effective Windows Automation Software requires only $5.00 per computer registration which is really affordable. Instead of learning new programming languages or investing lots of time and efforts on a complex and huge Windows Automation Software, Download this Mouse and Keyboard Automation Software and give it a try. With appropriate planning, you can easily automate almost any kind of repetitive task. 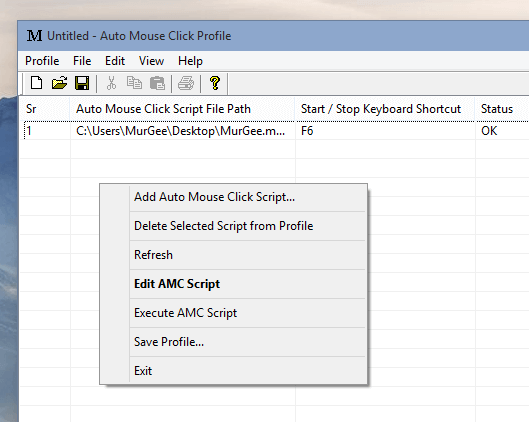 When you have multiple Scripts to Execute with different Keyboard Shortcuts to Execute them, you can use the inbuilt Profile Manager as displayed in the Screenshot above. The Profile Manager allows you to group multiple scripts in a data file so that you can switch between a group of Script Files easily by just opening the appropriate Data file of the Profile Manager. Apart from executing the script using a Global Keyboard Shortcut, you can create a Desktop Shortcut to execute the Script File or even Copy the Shortcut Path to execute the Script File from a batch file or any other kind of application. 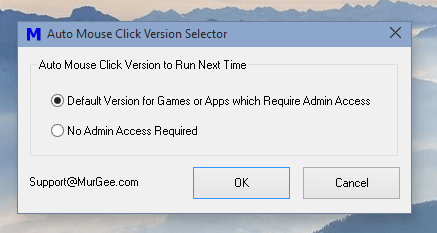 When Sending Mouse or Keyboard Input to any other running application, the execution level of the Host Application must be higher or equal to than that of target application and hence by default the Auto Mouse Click requires you to run it with Administrative Privileges. In case the Application you wish to Automate is not running at higher execution level, you can use the Version Selector to switch to Non Admin Version as displayed in the Screenshot below. Yes everything has been taken care when planning and designing this Automation Application. Now you can start your Automation Tasks within minutes with this simple and easy to use Windows Automation Software. The Free Download does not requires any registration and the Free Trial version is not limited in any manner apart from usage limit. You can start Windows Automation by Automating basic tasks like doing calculations with calculator, by opening Notepad and writing some text to it or by automating a simple web search. Once you have successfully Automated basic tasks with this Easy to Learn Windows Automation Software and are confident that it can be used to automate your task in hand, go ahead and create a script for it. Yes you can even get new features added to the software for an extra fees / or for free depending on your requirements. Taking into consideration that flexibility and features offered by this nifty Automation Tool, you will definitely find it helpful.